DC Comics Rebirth Spoilers: DC Rebirth Fates Of Justice League America, Earth 2 & Gotham Academy: Next Semester Revealed! As part of DC Comics’ Wondercon 2016 DC Rebirth reveals of its June 2016 to October 2016 series, fans were left wondering what the plan was for three series originally announced: Justice League America, Earth 2, and Gotham Academy: Next Semester. Well, we may know what’s next for these series. It was widely reported that DC Entertainment Chief Creative Officer Geoff Johns noted it was too early to announced the creative team, line-up and any details for Justice League America. That likely means something interesting will be revealed in the DC Universe Rebirth #1 80-page kick-off one-shot at the end of May 2016. Also, interesting that there is no “of” on the title. Does this mean the return of the Justice League International? That marks a change from the original list of DC Comics Rebirth series DC initially announced. The Earth 2 series is particularly interesting as its not clear if its a continuing series from the New 52 or the reemergence of a more classic Justice Society of America series. 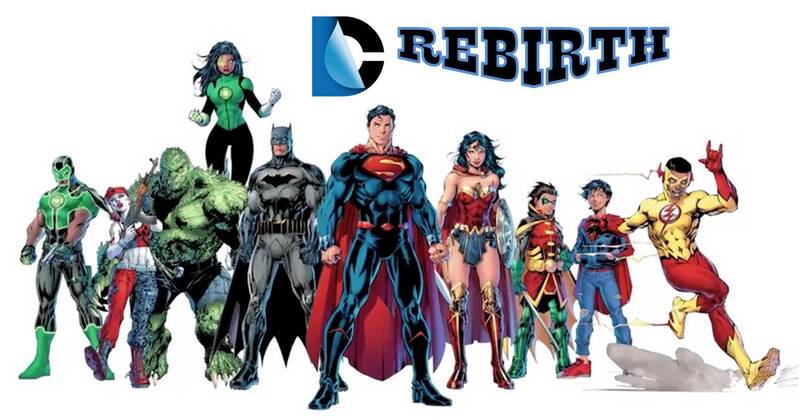 Plus with Earth 2 originally including a Rebirth one-shot and an ongoing monthly series, if this true, DC Comics just covertly cancelled the Earth 2 Rebirth one-shot and may have pushed back the launches of at least Earth 2 and Gotham Academy: Next Semester. It is clear that Justice League America remains part of Rebirth and will be launched between July 2016 and October 2016 likely with Geoff Johns writing.